Wolf Commercial Real Estate, a leading Mount Laurel commercial real estate brokerage firm that specializes in Mount Laurel commercial real estate listings and services, is offering prime Mount Laurel office space for lease in the Greentree North Business Center in Mount Laurel NJ. The Greentree North Business Center is a professional office park offering Mount Laurel office and flex space for lease in nine single-story office buildings. The Greentree North Business Center is ideally located just off the Route 73 corridor, providing Mount Laurel office and flex space for lease in a variety of sizes ideal for any office or flex user. 6000 Commerce Parkway Mount Laurel NJ: There are two units in this Mount Laurel office building for lease at 6000 Commerce Parkway Mount Laurel NJ. One unit offers 6,000 square feet of Mount Laurel office space for lease, while another unit offers 24,000 square feet of Mount Laurel office and flex space for lease. 9000 Commerce Parkway Mount Laurel NJ: This Mount Laurel office building for lease provides 6,000 square feet of Mount Laurel office and flex space for lease at 9000 Commerce Parkway Mount Laurel NJ. 11000 Commerce Parkway Mount Laurel NJ: There is 23,008 square feet (divisible) of office and flex space for lease in Mount Laurel at 11000 Commerce Parkway Mount Laurel NJ. 14000 Commerce Parkway Mount Laurel NJ: There are four units in this Mount Laurel office building for lease at 14000 Commerce Parkway Mount Laurel NJ. There are units offering 2,000 square feet, 4,000 square feet, 4,296 square feet and 12,000 square feet of Mount Laurel office and flex space for lease. The two smallest units are contiguous. 15000 Commerce Parkway Mount Laurel NJ: There is 31,000 square feet of divisible office and flex space for lease in Mount Laurel at 11000 Commerce Parkway Mount Laurel NJ. 16000 Commerce Parkway Mount Laurel NJ: There is between 7,463 to 16,535 square feet of Mount Laurel office and flex space for lease at 16000 Commerce Parkway Mount Laurel NJ. 18000 Commerce Parkway Mount Laurel NJ: There is 20,000 square feet of office and flex space for lease in Mount Laurel at 18000 Commerce Parkway Mount Laurel NJ. The asking lease price of this office space in Mount Laurel is $11.00-$12.00/SF NNN. These Mount Laurel office buildings for lease are available for immediate occupancy through Wolf Commercial Real Estate, a Mount Laurel commercial real estate broker with expertise in Mount Laurel commercial real estate listings and services. Among the amenities available to tenants in the Mount Laurel office buildings for lease at Greentree North Business Center are an on-site daycare center and recreational facilities. In addition, this office space in Mount Laurel is in close proximity to numerous hotels, restaurants, retailers and banks and is located near several major shopping centers, including the Greentree Square Shopping Center and the Moorestown Mall. This office and flex space in Mount Laurel sits just off Route 73, providing convenient access to Route 70, I-295 and the New Jersey Turnpike. This Mount Laurel office space for lease also allows easy access to Philadelphia via the Tacony-Palmyra Bridge, the Betsy Ross Bridge and the Benjamin Franklin Bridge. 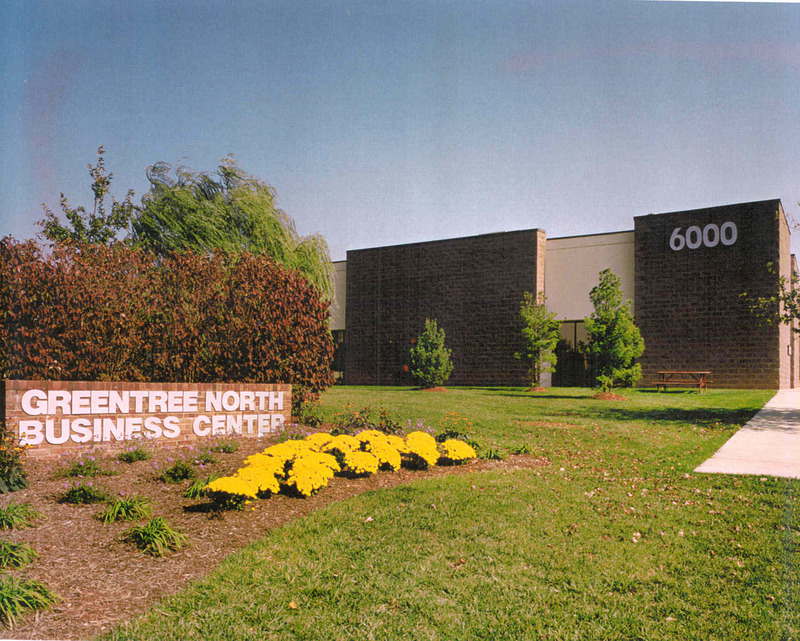 The Mount Laurel office buildings for lease in the Greentree North Business Center are locally owned and managed. There is monument and tenant suite signage available at this office and flex space in Mount Laurel. This office space in Mount Laurel is being offered by Wolf Commercial Real Estate, a Mount Laurel commercial real estate brokerage firm with expertise in Mount Laurel commercial real estate listings and services. 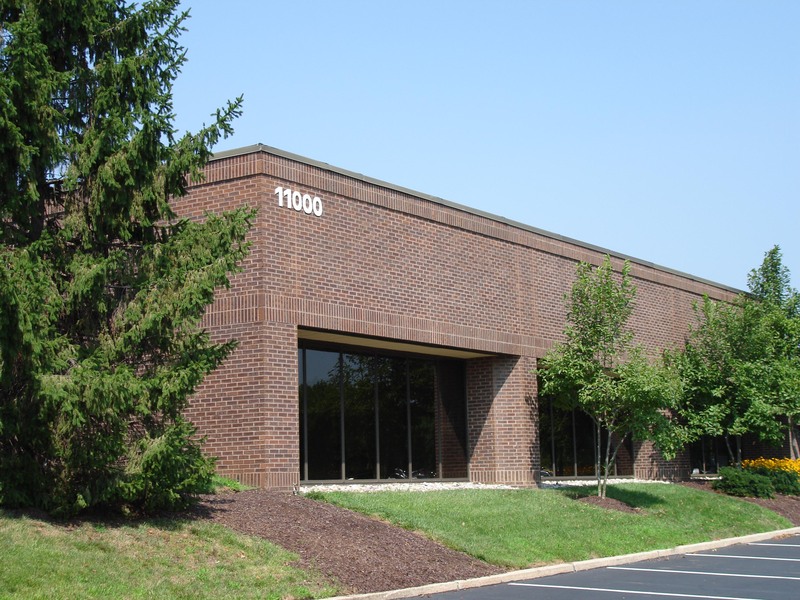 More than 180,000 people reside within five miles of this office and flex space in Mount Laurel. The average household income within the same five-mile radius of this Mount Laurel office space for lease is $105,426. On average, more than 46,000 vehicles per day pass through the intersection of Route 73 and Lincoln Drive at the entrance to this office space in Mount Laurel. At ratio of 4.5/1,000 sf, parking is abundant at this office and flex space in Mount Laurel. This Mount Laurel office buildings for lease at 6000 Commerce Parkway Mount Laurel NJ, 9000 Commerce Parkway Mount Laurel NJ, 11000 Commerce Parkway Mount Laurel NJ, 14000 Commerce Parkway Mount Laurel NJ, 15000 Commerce Parkway Mount Laurel NJ, 16000 Commerce Parkway Mount Laurel NJ, and 18000 Commerce Parkway Mount Laurel NJ is available through by Wolf Commercial Real Estate, a Mount Laurel commercial real estate broker with expertise in Mount Laurel commercial real estate listings and services. Wolf Commercial Real Estate, a leading Mount Laurel commercial real estate broker that specializes in Mount Laurel commercial real estate listings and services, is now offering well-located Mount Laurel office space for sale at 921 Pleasant Valley Avenue Mount Laurel NJ. This prime Mount Laurel office building for sale is located at the signalized intersection of Pleasant Valley Avenue and Church Street. This office space in Mount Laurel offers 15,300 square feet of premier Mount Laurel office space for sale. This Mount Laurel office building for sale at 921 Pleasant Valley Avenue Mount Laurel NJ sits on a 2.66-acre lot. The asking sale price for this office space in Mount Laurel at 921 Pleasant Valley Avenue Mount Laurel NJ is $1.95 million. This Mount Laurel office space for sale is available for immediate occupancy through Wolf Commercial Real Estate, a Mount Laurel commercial real estate brokerage firm that specializes in Mount Laurel commercial real estate listings and services. This mid-rise Mount Laurel office building for sale has monument signage available. This office space in Mount Laurel is conveniently located off Fellowship Road near Route 38, 295 and the New Jersey Turnpike. Not only is this Mount Laurel office building for sale surrounded by numerous amenities, but also hotels, banks and restaurants are in the general vicinity. Upgraded throughout, this Mount Laurel office space for sale through Wolf Commercial Real Estate, a Mount Laurel commercial real estate broker that specializes in Mount Laurel commercial real estate listings and services has several executive offices and conference rooms on the second floor. At a ratio of 7/1,000 sf, parking is abundant at this office space in Mount Laurel at 921 Pleasant Valley Avenue Mount Laurel NJ. More than 186,000 people reside within five miles of this Mount Laurel office building for sale. The average household income within five miles is $106,779. For more information about this Mount Laurel office space for sale at 921 Pleasant Valley Avenue Mount Laurel NJ or about any other Mount Laurel commercial properties for sale or sale, please contact Jason Wolf (856-857-6301; jason.wolf@wolfcre.com) or Christina Del Duca (856-857-6304; christina.delduca@wolfcre.com) at Wolf Commercial Real Estate, a Mount Laurel commercial real estate brokerage firm. Wolf Commercial Real Estate is a leading Mount Laurel commercial real estate broker that provides a full range of Mount Laurel commercial real estate listings and services, marketing commercial offices, medical properties, industrial properties, land properties, retail buildings and other Mount Laurel commercial properties for buyers, tenants, investors and sellers. Please visit our websites for a full listing of Mount Laurel commercial properties for sale or sale through the team at our Mount Laurel commercial real estate brokerage firm if you want more information about this Mount Laurel office building for sale. Wolf Commercial Real Estate, the premier Mount Laurel commercial real estate brokerage firm with expertise in Mount Laurel commercial real estate listings and services, is now offering well-located Mount Laurel office space for lease at 15000 Commerce Parkway Mount Laurel NJ. Located in the Greentree North Corporate Center professional office park, this Mount Laurel office building for lease features 31,000 square feet of divisible Mount Laurel office and flex space for lease. This Mount Laurel office space for lease is perfect for a number of office or flex uses. The asking lease price for this office space in Mount Laurel is $11.00-$12.00/sf NNN. This Mount Laurel office and flex space for lease at 15000 Commerce Parkway Mount Laurel NJ is available for immediate occupancy through Wolf Commercial Real Estate, a Mount Laurel commercial real estate broker that specializes in Mount Laurel commercial real estate listings and services. There are many amenities for tenants in the Greentree North Corporate Center where this Mount Laurel office building for lease is located, including an on-site daycare center and recreational facilities. In addition, this office space in Mount Laurel is surrounded by numerous hotels, restaurants, retailers and banks and is in close proximity to the Greentree Square Shopping Center and the Moorestown Mall. This Mount Laurel office and flex space for lease is situated just off Route 73, providing easy access to Route 70, I-295 and the New Jersey Turnpike. This Mount Laurel office building for lease also offers convenient access to Philadelphia via the Tacony-Palmyra Bridge, the Betsy Ross Bridge and the Benjamin Franklin Bridge. 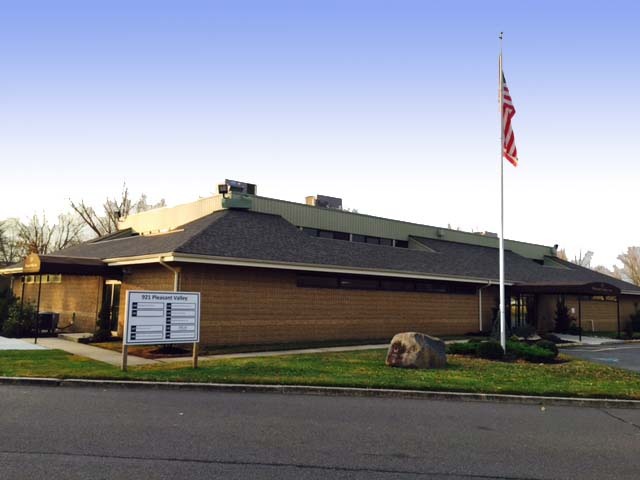 This single-story office space in Mount Laurel at 15000 Commerce Parkway Mount Laurel NJ is locally owned and managed and provides both monument and tenant suite signage. This Mount Laurel office space for lease is being offered by Wolf Commercial Real Estate, a Mount Laurel commercial real estate brokerage firm that specializes in Mount Laurel commercial real estate listings and services. More than 46,000 vehicles per day on average drive through the intersection of Route 73 and Lincoln Drive near this Mount Laurel office building for lease. At ratio of 4.5/1,000 sf, parking is plentiful at this office space in Mount Laurel in the Greentree North Corporate Center. There are more than 180,000 residents living within a five-mile radius of this Mount Laurel office and flex space for lease. The average household income within the same five miles of this Mount Laurel office building for lease is $105,426. For more information about this Mount Laurel office space for lease in the Greentree North Corporate Center at 15000 Commerce Parkway Mount Laurel NJ or about any other Mount Laurel commercial properties for sale or lease, please contact Christina Del Duca (856-857-6304; christina.delduca@wolfcre.com) or Todd Levin (856-857-6319; todd.levin@wolfcre.com) at Wolf Commercial Real Estate, a Mount Laurel commercial real estate broker. Wolf Commercial Real Estate, a leading Mount Laurel commercial real estate broker that specializes in Mount Laurel commercial real estate listings and services, is now offering well-located Mount Laurel office space for lease at 3000 Atrium Way Mount Laurel NJ. This prime Mount Laurel office building for lease is located in the Horizon Corporate Center on busy Route 73 and has a range of office sizes available on three floors. The largest unit in this office space in Mount Laurel offers 10,104 square feet of premier Mount Laurel office space for lease on the third floor. There also is a 6,756-square-foot unit on the fourth floor of this Mount Laurel office building for lease at 3000 Atrium Way Mount Laurel NJ and 5,858 square feet on the fifth floor. The asking lease price for this office space in Mount Laurel in the Horizon Corporate Center at 3000 Atrium Way Mount Laurel NJ is $11.50 per square foot NNN. This Mount Laurel office space for lease is available for immediate occupancy through Wolf Commercial Real Estate, a Mount Laurel commercial real estate brokerage firm that specializes in Mount Laurel commercial real estate listings and services. Locally owned and managed, this mid-rise Mount Laurel office building for lease sits in a beautiful corporate office park with well-manicured grounds. This office space in Mount Laurel has a new exterior facade, an on-site luncheonette and both a lobby directory and suite signage. There is easy access to Route 70, Route 38, I-295 and the New Jersey Turnpike from this Mount Laurel office building for lease in the Horizon Corporate Center just off Route 73. This Mount Laurel office space for lease through Wolf Commercial Real Estate, a Mount Laurel commercial real estate broker that specializes in Mount Laurel commercial real estate listings and services, is situated near many hotels, restaurants and retailers. 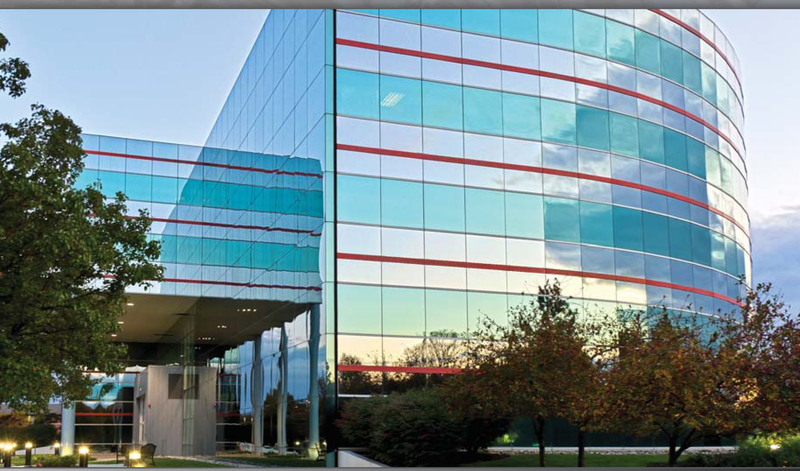 More than 52,000 vehicles per day pass by this Mount Laurel office building for lease at Route 73 and Atrium Way. At a ratio of 4.00/1,000 sf, parking is abundant at this office space in Mount Laurel in the Horizon Corporate Center at 3000 Atrium Way Mount Laurel NJ. More than 191,000 people reside within five miles of this Mount Laurel office building for lease. The average household income within five miles is $103,421. For more information about this Mount Laurel office space for lease in the Horizon Corporate Center at 3000 Atrium Way Mount Laurel NJ or about any other Mount Laurel commercial properties for sale or lease, please contact Christina Del Duca (856-857-6304; christina.delduca@wolfcre.com) or Leor Hemo (856-857-6302; leor.hemo@wolfcre.com) at Wolf Commercial Real Estate, a Mount Laurel commercial real estate brokerage firm. Wolf Commercial Real Estate is a leading Mount Laurel commercial real estate broker that provides a full range of Mount Laurel commercial real estate listings and services, marketing commercial offices, medical properties, industrial properties, land properties, retail buildings and other Mount Laurel commercial properties for buyers, tenants, investors and sellers. Please visit our websites for a full listing of Mount Laurel commercial properties for lease or sale through the team at our Mount Laurel commercial real estate brokerage firm. Wolf Commercial Real Estate, a leading Mount Laurel commercial real estate broker with extensive expertise in Mount Laurel commercial real estate listings and services, now has available prime Mount Laurel office space for lease at 15000 Commerce Parkway Mount Laurel NJ. This office space in Mount Laurel features 31,000 square feet of divisible Mount Laurel office and flex space for lease. This single-story Mount Laurel office building for lease at 15000 Commerce Parkway Mount Laurel NJ provides ideal space for a number of office or flex uses. The asking lease price for this office and flex space in Mount Laurel is available by contacting Wolf Commercial Real Estate, a Mount Laurel commercial real estate brokerage firm that specializes in Mount Laurel commercial real estate listings and services. This Mount Laurel office building for lease is located in the Greentree North Corporate Center, a professional office park that provides numerous amenities for tenants. The Greentree North Corporate Center where this Mount Laurel office space for lease is situated, features an on-site daycare center and recreational amenities within the office park. Located just off well-traveled Route 73, this Mount Laurel office and flex space for lease at 15000 Commerce Parkway Mount Laurel NJ has convenient access to Route 70, I-295 and the New Jersey Turnpike for points north and south. To the west, Philadelphia is easily accessible from this office space in Mount Laurel via several bridges, including the Tacony-Palmyra Bridge, the Betsy Ross Bridge and the Benjamin Franklin Bridge. Among the many sought-after amenities in the vicinity of this office and flex space in Mount Laurel are many hotels, restaurants, retailers and banks. Major shopping centers near this Mount Laurel office building for lease include the Greentree Square Shopping Center and the Moorestown Mall. Locally owned and managed, this Mount Laurel office space for lease in the Greentree North Corporate Center has both monument and tenant suite signage. This office space in Mount Laurel is being offered for immediate occupancy through Wolf Commercial Real Estate, a Mount Laurel commercial real estate broker that specializes in Mount Laurel commercial real estate listings and services. On average, more than 46,000 vehicles per day pass through the intersection of Route 73 and Lincoln Drive at the entrance to this office and flex space in Mount Laurel at 15000 Commerce Parkway Mount Laurel NJ. There is ample parking at this Mount Laurel office and flex space for lease at a ratio of 4.5/1,000 sf. More than 180,000 residents live within five miles of this office space in Mount Laurel. The average household income within five miles of this Mount Laurel office building for lease is $105,426. For more information about this Mount Laurel office space for lease in the Greentree North Corporate Center at 11000 Commerce Parkway Mount Laurel NJ or about any other Mount Laurel commercial properties for sale or lease, please contact Christina Del Duca (856-857-6304; christina.delduca@wolfcre.com) or Todd Levin (856-857-6319; todd.levin@wolfcre.com) at Wolf Commercial Real Estate, a Mount Laurel commercial real estate brokerage firm. Wolf Commercial Real Estate is the premier Mount Laurel commercial real estate broker that provides a full range of Mount Laurel commercial real estate listings and services, marketing commercial offices, medical properties, industrial properties, land properties, retail buildings and other Mount Laurel commercial properties for buyers, tenants, investors and sellers. Please visit our website for a full listing of Mount Laurel commercial properties for lease or sale through our Mount Laurel commercial real estate brokerage firm. Wolf Commercial Real Estate, a leading Mount Laurel commercial real estate brokerage firm that specializes in Mount Laurel commercial real estate listings and services, now has available premier Mount Laurel office space for lease at 11000 Commerce Parkway Mount Laurel NJ. This professional office space in Mount Laurel offers 23,008 square feet (divisible) of Mount Laurel office and flex space for lease. This Mount Laurel professional office space for lease in the Greentree North Corporate Center is perfect for multiple office or flex uses. This Mount Laurel office building for lease is located in a professional office park off busy Route 73, providing easy access to the area’s major highways and bridges. This Mount Laurel office and flex space for lease in the Greentree North Corporate Center at 11000 Commerce Parkway Mount Laurel NJ also is conveniently located close to many desirable amenities. The asking lease price for this professional office space in Mount Laurel is $11.00-$12.00 sf NNN. This Mount Laurel professional office space for lease is being offered for immediate occupancy through Wolf Commercial Real Estate, a Mount Laurel commercial real estate broker that specializes in Mount Laurel commercial real estate listings and services. This Mount Laurel office space for lease at 11000 Commerce Parkway Mount Laurel NJ has direct access to Route 73 and is just minutes away from I-295, the New Jersey Turnpike and Route 70. This Mount Laurel office building for lease also is easily accessible from Philadelphia via several nearby bridges, including the Tacony-Palmyra Bridge, the Betsy Ross Bridge and the Benjamin Franklin Bridge. There is an on-site daycare center at this Mount Laurel professional office space for lease in the Greentree North Corporate Center. In addition, this professional office space in Mount Laurel is in the immediate vicinity of many hotels, restaurants, retailers and banks. This Mount Laurel office and flex space for lease also is close to the Greentree Square Shopping Center and the Moorestown Mall. Locally owned and managed, this Mount Laurel office building for lease features monument and tenant suite signage. This Mount Laurel office space for lease is available through Wolf Commercial Real Estate, a Mount Laurel commercial real estate brokerage firm that specializes in Mount Laurel commercial real estate listings and services. 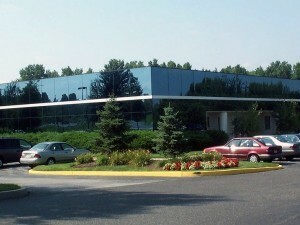 An average of more than 46,000 vehicles daily drive by the intersection of Route 73 and Lincoln Drive where this professional office space in Mount Laurel is located. Parking is plentiful at this Mount Laurel office and flex space for lease with a ratio of 4.5/1,000 sf. There are more than 180,000 people residing within a five-mile radius of this Mount Laurel office building for lease and the average household income is $105, 426. For more information about this Mount Laurel office space for lease in the Greentree North Corporate Center at 11000 Commerce Parkway Mount Laurel NJ or about any other Mount Laurel commercial properties for sale or lease, please contact Christina Del Duca (856-857-6304; christina.delduca@wolfcre.com) or Todd Levin (856-857-6319; todd.levin@wolfcre.com) at Wolf Commercial Real Estate, a Mount Laurel commercial real estate broker. Wolf Commercial Real Estate is the foremost Mount Laurel commercial real estate broker that provides a full range of Mount Laurel commercial real estate listings and services, marketing commercial offices, medical properties, industrial properties, land properties, retail buildings and other Mount Laurel commercial properties for buyers, tenants, investors and sellers. Please visit our website for a full listing of Mount Laurel commercial properties for lease or sale through our Mount Laurel commercial real estate brokerage firm. Wolf Commercial Real Estate, a premier Mount Laurel commercial real estate brokerage firm that specializes in Mount Laurel commercial real estate listings and services, now has available prime Mount Laurel office space for lease in the Horizon Corporate Center at 3000 Atrium Way Mount Laurel NJ. There is nearly 25,000 square feet of prime office space in Mount Laurel available on four floors of this Mount Laurel office building for lease. There is 2,200 square feet of Mount Laurel office space for lease on the first floor, 10,104 square feet on the third floor, 6,756 square feet on the fourth floor and 5,858 square feet on the fifth floor. The asking lease price for this office space in Mount Laurel is $11.50 per square foot NNN. This Mount Laurel office building for lease at 3000 Atrium Way Mount Laurel NJ is available for immediate occupancy through Wolf Commercial Real Estate, a Mount Laurel commercial real estate broker that specializes in Mount Laurel commercial real estate listings and services. Located in the well-maintained, beautifully landscaped Horizon Corporate Center, this Mount Laurel office space for lease is a mid-rise office building that is locally owned and managed. This office space in Mount Laurel has a new exterior facade and an on-site luncheonette. With an excellent location along the well-traveled Route 73 corridor, this Mount Laurel office building for lease at 3000 Atrium Way Mount Laurel NJ has convenient access to Route 70, Route 38, I-295 and the New Jersey Turnpike. This Mount Laurel office space for lease is surrounded by many hotels, restaurants and retailers. 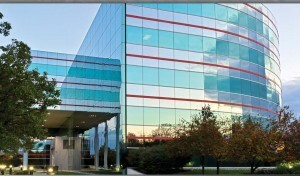 Each day, more than 52,000 vehicles drive by the intersection of Route 73 and Atrium Way where this office space in Mount Laurel is located. Parking is plentiful at this Mount Laurel office space for lease with a ratio of 4.00/1,000 sf. 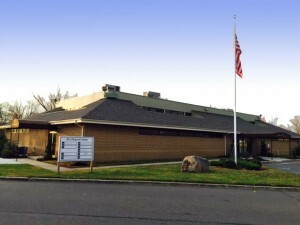 More than 191,000 residents live within a five-mile radius of this Mount Laurel office building for lease though Wolf Commercial Real Estate, a Mount Laurel commercial real estate brokerage firm that specializes in Mount Laurel commercial real estate listings and services. For more information about this Mount Laurel office space for lease in the Horizon Corporate Center at 3000 Atrium Way Mount Laurel NJ or about any other Mount Laurel commercial properties for sale or lease, please contact Christina Del Duca (856-857-6304; christina.delduca@wolfcre.com) or Leor Hemo (856-857-6302; leor.hemo@wolfcre.com) at Wolf Commercial Real Estate, a Mount Laurel commercial real estate broker. Wolf Commercial Real Estate is a premier Mount Laurel commercial real estate broker that provides a full range of Mount Laurel commercial real estate listings and services, marketing commercial offices, medical properties, industrial properties, land properties, retail buildings and other Mount Laurel commercial properties for buyers, tenants, investors and sellers. Please visit our websites for a full listing of Mount Laurel commercial properties for lease or sale through the team at our Mount Laurel commercial real estate brokerage firm.